We all want the best for our children. In this changing world, what worked best for us may not be the best choice for our children. In today’s job market, only 20% of jobs require a four-year degree. However, 65% of jobs today require an associate’s degree or advanced technical training. The best opportunity for our children may be found in equipping them with necessary knowledge to select an educational option right for them. Choices your eighth-grader makes entering the ninth grade school year will impact career opportunities for a lifetime. Through dual enrollment, students have the opportunity to take college and technical training courses while in high school. These courses enable them to obtain high-paying jobs immediately out of high school without the burden of college debt. Many companies offer apprenticeships to help fast-track students and develop their career paths. 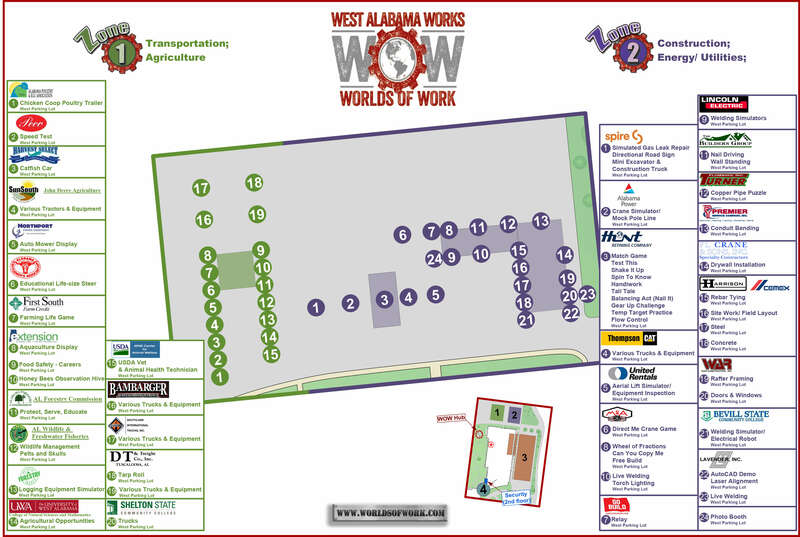 Your students will have an opportunity to explore exciting career paths at this year’s West Alabama Worlds of Work (WOW) event. WOW will present real-world simulations of available career options. 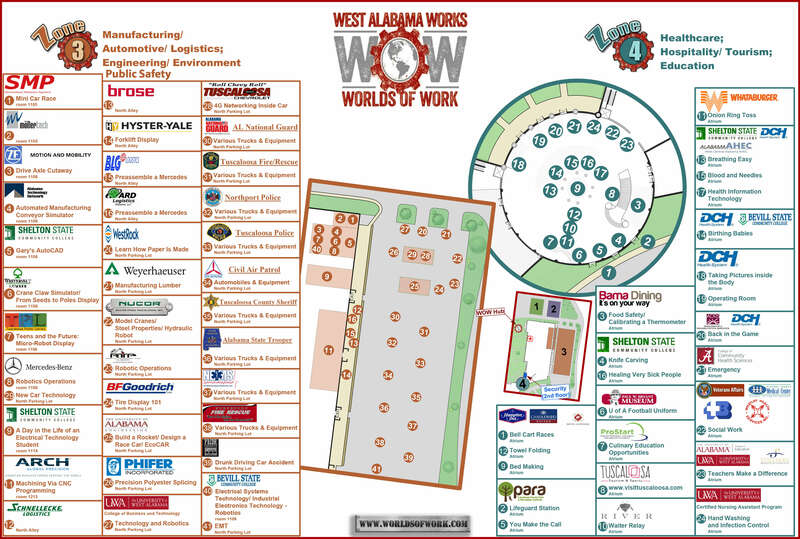 Each hands-on exhibit will be presented by top employers in our region. By attending WOW, students will learn how to begin building a meaningful career at the beginning of high school. Career Technical Education (CTE) provides students of all ages with the academic and technical skills, knowledge and training necessary to succeed in future careers and to become lifelong learners. In total, about 12.5 million high school and college students are enrolled in CTE across the nation. CTE prepares these learners for the world of work by introducing them to workplace competencies, and makes academic content accessible to students by providing it in a hands-on context. In fact, the high school graduation rate for CTE concentrators is about 90% – 15 percentage points higher than the national average. WHEN: Thursday, October 10, 2019, 2-7 p.m.
WHO: High school students and their parents from Bibb, Fayette, Greene, Hale, Lamar, Marengo, Pickens, Sumter, and Tuscaloosa counties. Pre-register for WOW Varsity here.